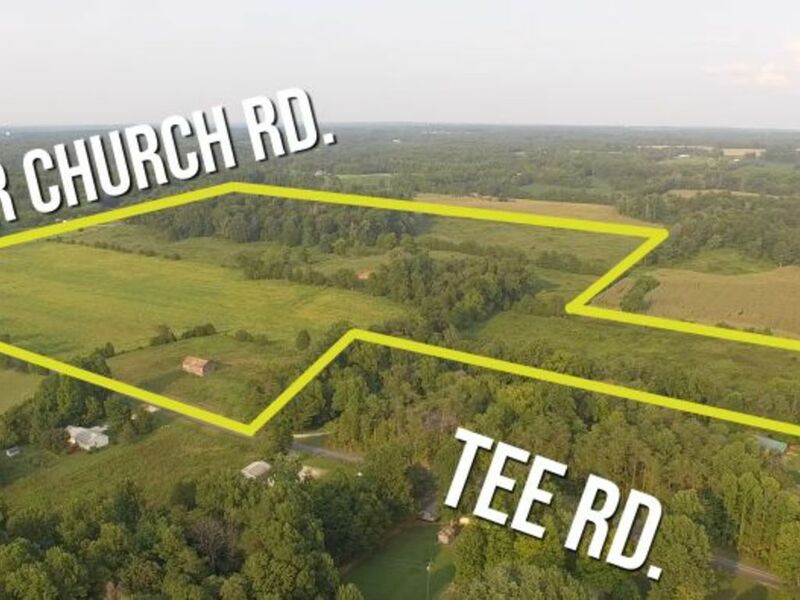 Highlights: 85 +/- acres located at the corner of Zoar Church Rd & Tee Rd; large amount of road frontage on both roads; income producing tillable acreage; and wooded property. Sells in 2 tracts with no reserve! Inspection: vacant land, view anytime. 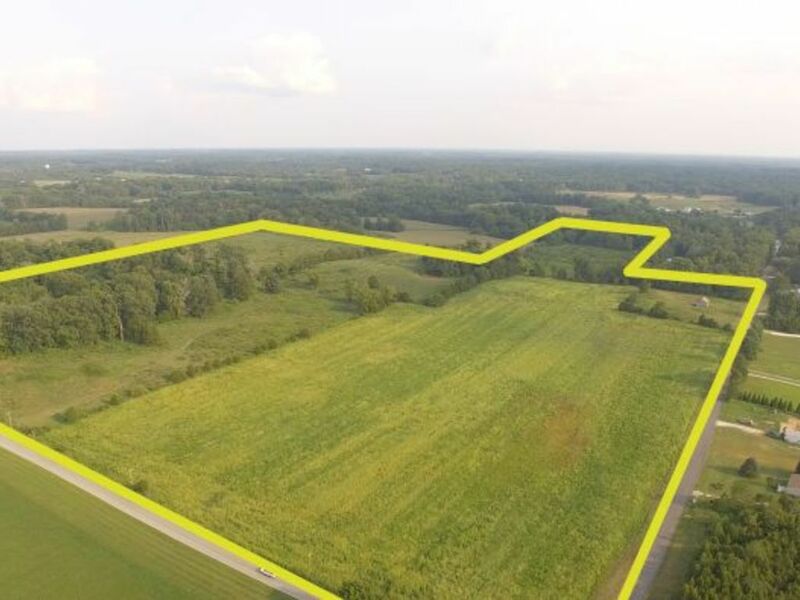 Located 5 miles NE of Corydon or 8 miles NW of Lanesville! CLICK ON “VIEW DOCUMENTS” ABOVE FOR AERIAL, SOIL INFO, TAX INFO, ETC. 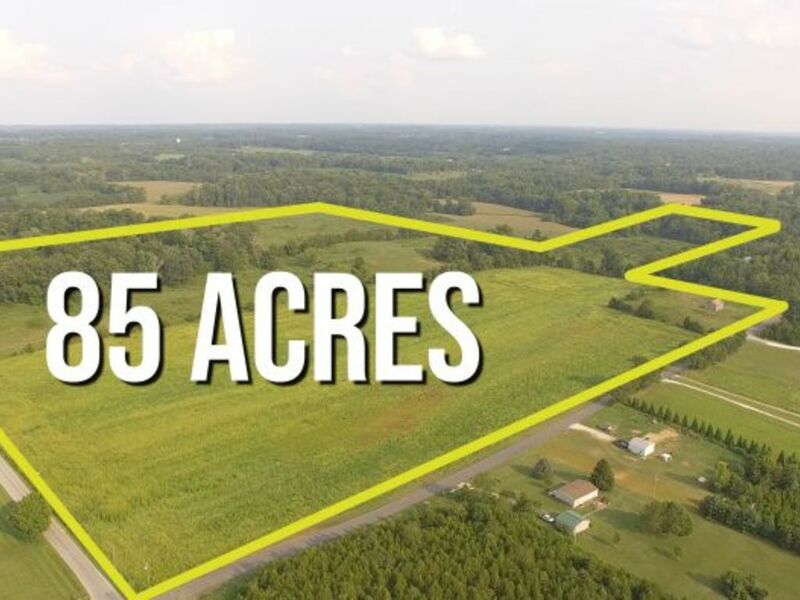 REAL ESTATE: Includes an offering of 85.7 +/- acres of farmland and timberland just 5 miles north of Corydon or 8 miles from Lanesville. 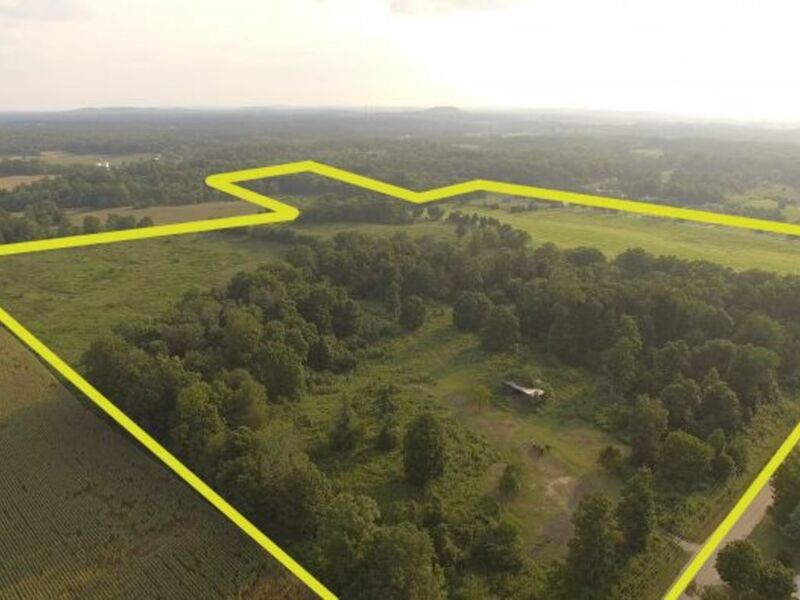 Features include: 85.7 +/- acres, 1570’ +/- road frontage on Tee Rd, 1980’ +/- on Zoar Church Rd, 23 +/- tillable acres, and wooded acreage. 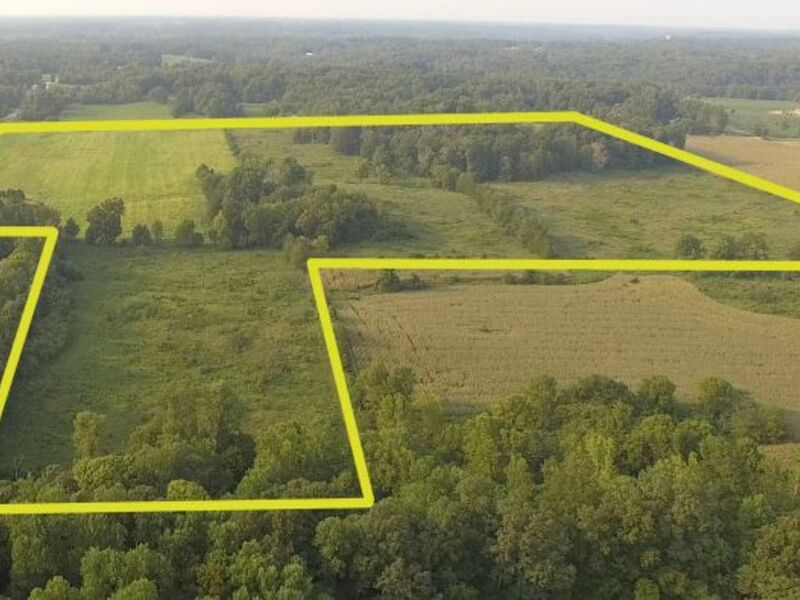 Property will be offered in two separate tracts. 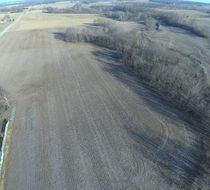 Excellent building sites, hunting acreage, and income producing tillable acreage. Sells without reserve to the highest bidder! REAL ESTATE INSPECTION: Vacant land, view anytime. GAS/OIL/MINERAL RIGHTS: Includes sellers’ interest in gas/oil/mineral rights. Mineral rights are currently leased. 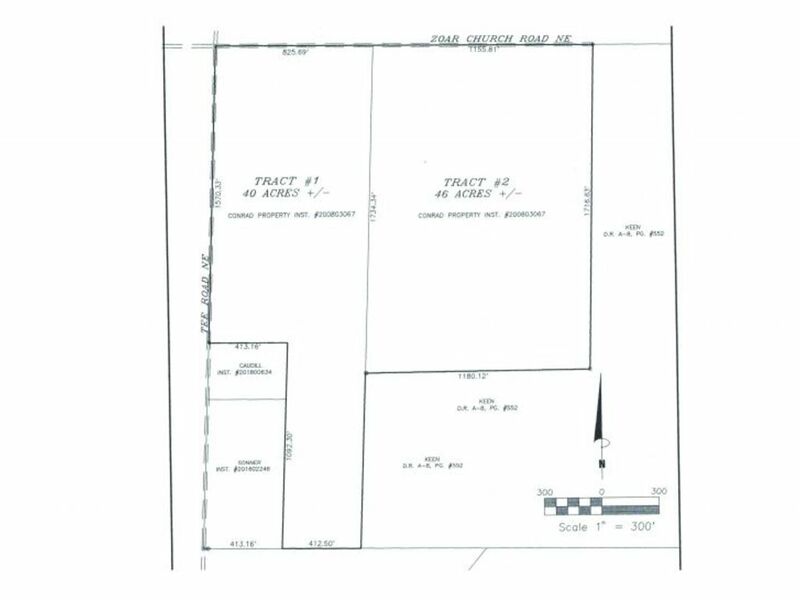 FSA INFO: Per FSA map farm includes approximately 66 +/- acres of tillable ground. SOIL DATA SHEETS: See “View Documents” section for soil info sheets. SURVEY INFO: Completed August 2018. Seller to pay all survey fees. See "View Documents" section for auction plat. FARM LEASE INFO: No tillable land leases in place for 2018. POSSESSION/CLOSING INFO: Possession at closing on all tracts. Buyer to pay all closing fees except deed prep. DIRECTIONS: From I-64 Corydon Exit #105, north on IN-135 2.7 miles, turn right on IN-335 0.6 miles, turn right on Tee Rd 1.7 miles to site on left. From I-64 Lanesville Exit #113, north on Crandall-Lanesville Rd 500’, left on Crandall-Lanesville Rd 2.8 miles, left Pfrimmers Chapel Rd 0.9 miles, then right on Zoar Church Rd 1.8 miles to site. 1. Conditions of Sale: This online only auction is absolute with no reserve and is a cash sale not contingent on or subject to financing, appraisal, survey, or inspections of any kind, as agreed to by bidders at registration prior to bidding and specified in the attached Agreement to Purchase Real Estate. Buyer(s) shall pay all costs of closing with exception of deed preparation paid by Seller. Buyer acknowledges they are buying property “as-is”, “where-is”, without inspections or contingencies. Buyer(s) will rely on his/her own judgment and inspection. By signing an offer, Buyer(s) will be waiving the 10-day lead based paint test. 2. Closing Info: A Buyer’s Premium of 10% is added to the high bid. Please take this into consideration when bidding. At the close of the auction, the successful Bidder will be emailed an Agreement to Purchase Contract to be executed and returned to Beckort Auctions, LLC within twenty-four (24) hours of the completion of the auction along with 10% deposit of the total contract price. The down payment may be made in the form of cash, cashier’s check, personal check, or corporate check. The entirety of the remaining balance is due at closing on or before Thirty (30) days from Auction Day. Purchaser will be responsible for all wire transfers. Per the Contract, time is of the essence; you should proceed to closing within Thirty (30) days. Possession shall be given to the successful Buyer(s) at closing. 5. Back-Up Bids: If you are not the successful bidder on the real estate and wish to make a back-up bid in case of default by the high bidder, please see Brian Beckort to receive a Back-Up Bidder Form. 6. Other Conditions: Buyer(s) must be prepared to make a cash offer. There are no contingencies to this sale (i.e., financing, appraisal, repairs, or inspections). Therefore, you should be pre-qualified by a lender prior to bidding if you require financing. This property is being sold for cash “as-is, where-is” with a closing deadline. 7. Real Estate Brokerage Services Disclosure: Beckort Auctions LLC and their representatives are Exclusive Agents of the Seller(s). We do not represent the buyer(s) in any manner and we must be completely loyal and faithful to our client. Beckort Auctions LLC has an exclusive right to sell listing for this transaction. All negotiations must be conducted through Beckort Auctions LLC. A one percent (1%) bid price commission, not to include any buyer’s premium if applicable, is available to properly registered Brokers/Agents. You must pre-register your Buyers with Beckort Auctions, LLC twenty-four (24) hours before the end of the auction by filling out and recording with Beckort Auctions a Broker Registration Form. Agents who fail to pre-register their Buyer will not be recognized as Buyer Agents and will not be entitled to a co-op commission. Broker/Agent cannot act as a Buyer and Broker/Agent on the same transaction. Please review the Broker Registration form for eligibility. 8. Beckort Auctions LLC Involvement in this Contract: The seller and buyer hereby agree that Beckort Auctions LLC is a part of this contract and shall receive compensation as stated in the agreement hereto or as stated in the listing agreement hereby made a part of. 9. 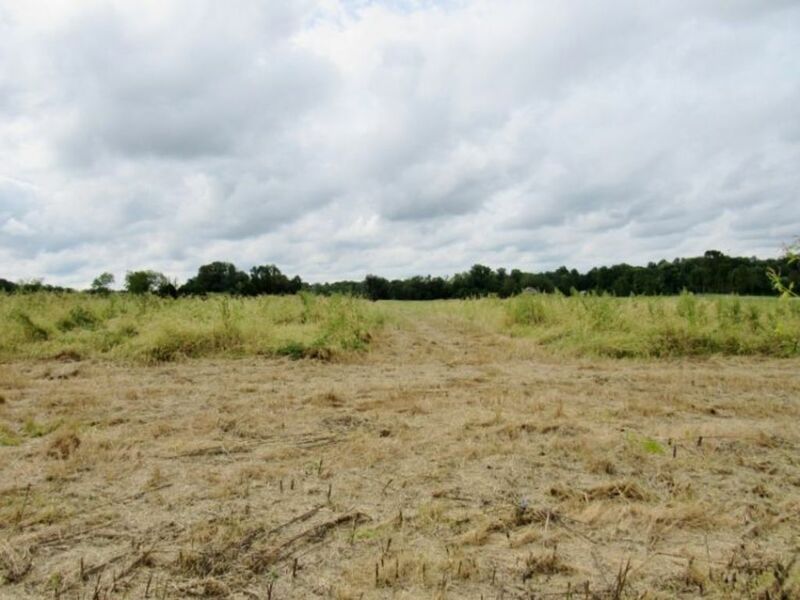 Restrictions: Real Estate is sold subject to any and all existing matter of record, and all easements, building use or zoning laws and regulations. Taxes and assessments will be pro-rated to the closing date. 10. Additional Auction Information: All information published, announced or contained herein was derived from sources believed to be correct; however, it is not guaranteed by the seller or the auctioneers. Personal on-site inspection of all property is recommended. The failure of any bidder to inspect, or to be fully informed as to the condition of the property, will not constitute grounds for any claim or demand for adjustment or withdrawal of bid, offer or deposit money after its opening tender. This includes but is not limited to public information such as easements, restrictions, zoning, right-of-ways, or any other information that can be obtained as public record in the appropriate county court house concerning subject properties. From I64 Corydon Exit north on IN-135 2.7 miles, turn right on IN-335 0.6 miles, turn right on Tee Rd 1.7 miles to site on left.